Some accuse Dickens are wordiness. I think he has the good kind of wordiness, the one that fleshes out scenes and fills up chapters with enough detail to make everything come alive. 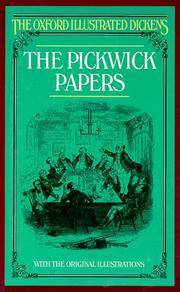 The Pickwick Papers has the simplest kind of plot, which is to say it has almost none. It simply follows Mr. Pickwick and three of his friends as they live their lives, travel around England, and deal with the events, misunderstandings, and minor disasters that ensue. This may sound like a thin premise on which to hang a novel, much less an 800-page novel, and it probably would be … for anyone other than Charles Dickens. In his hands, it becomes a glorious celebration of many things: the English characters, friendship, eccentricity, and the joy of being alive.